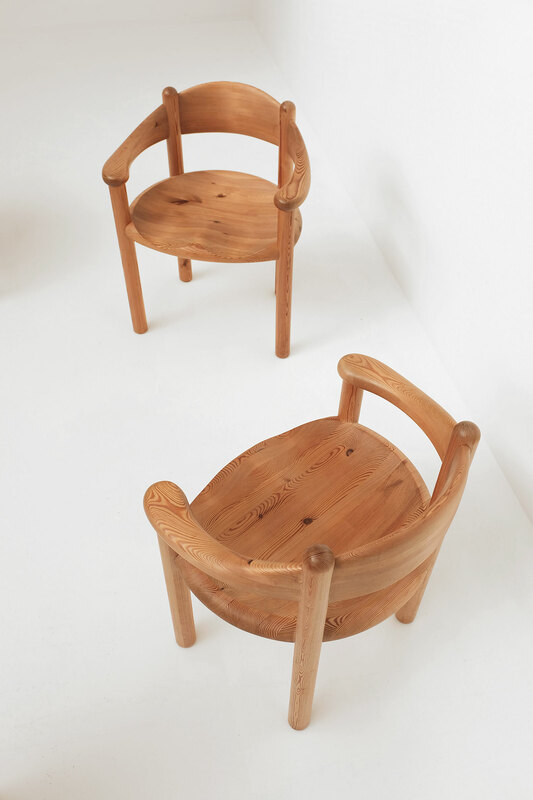 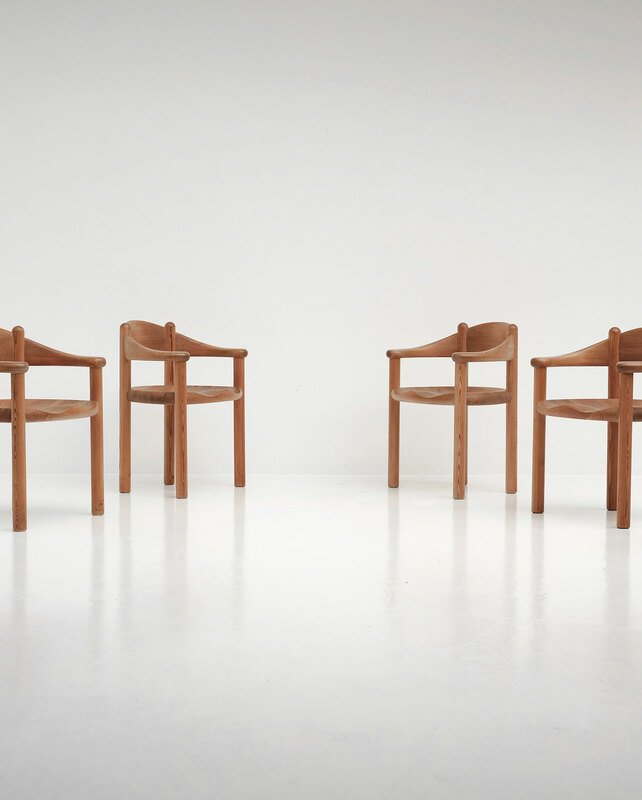 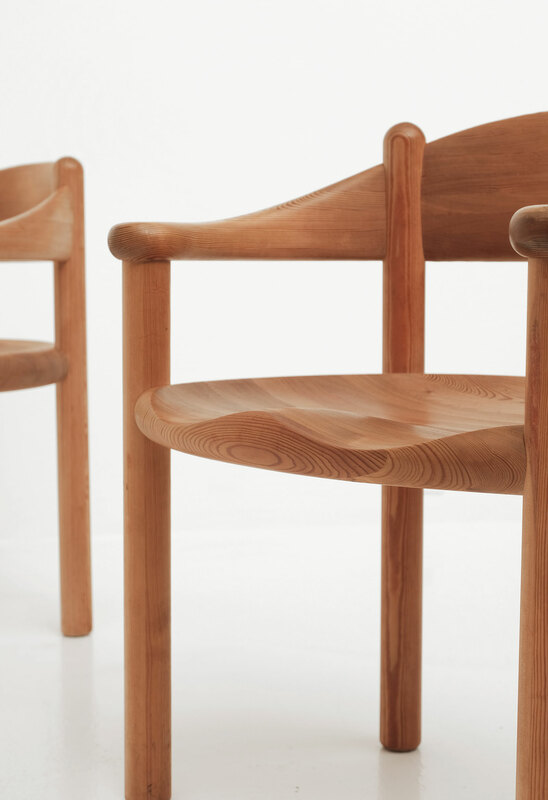 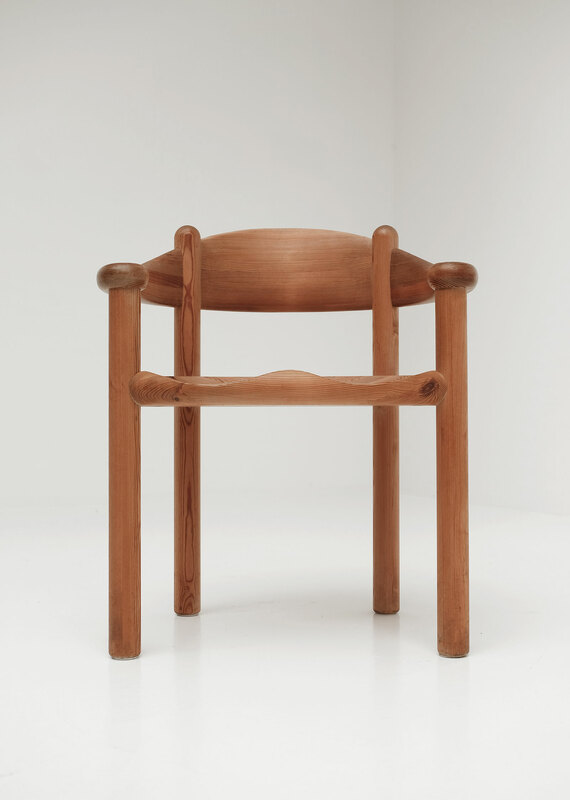 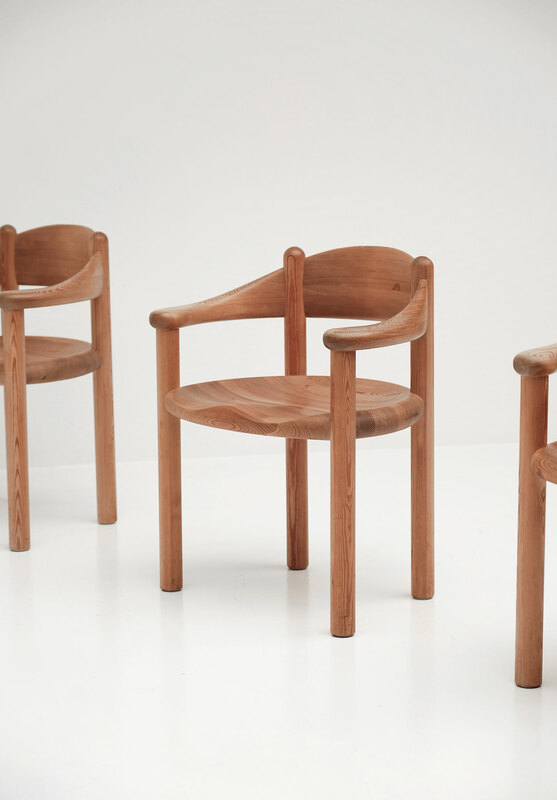 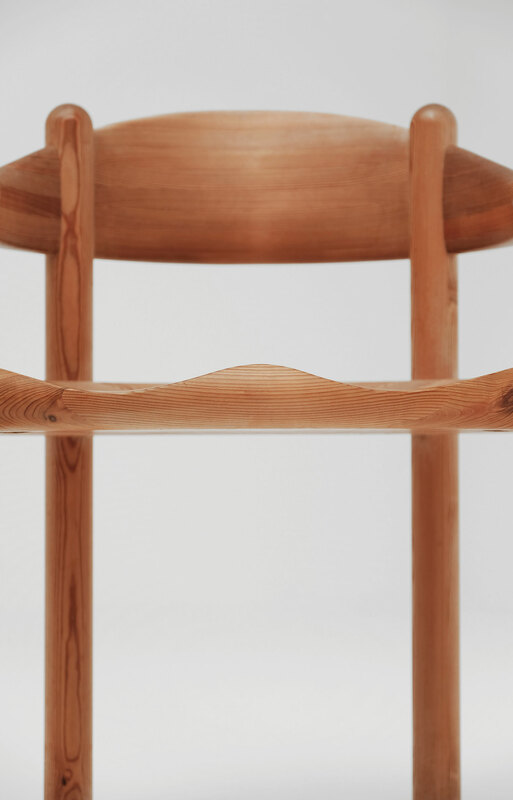 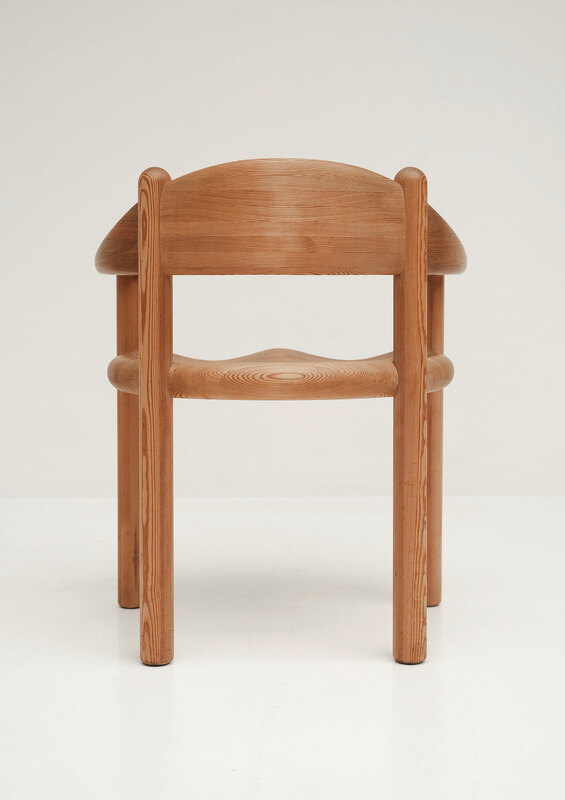 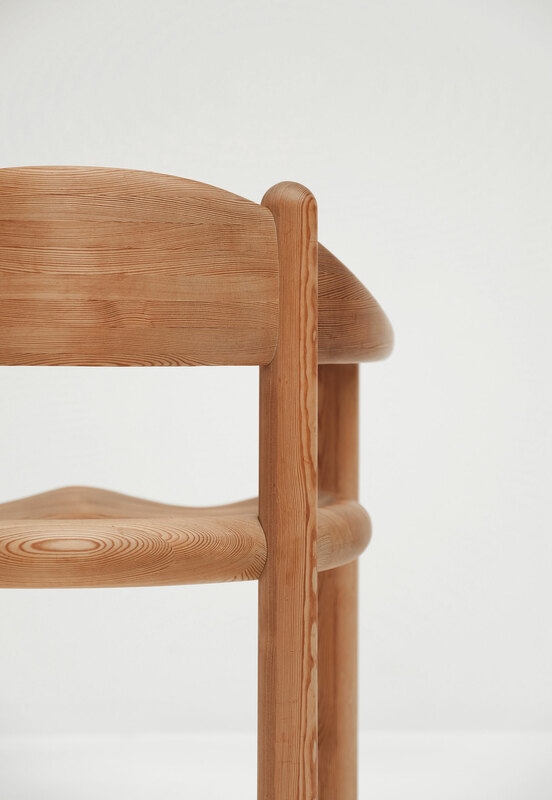 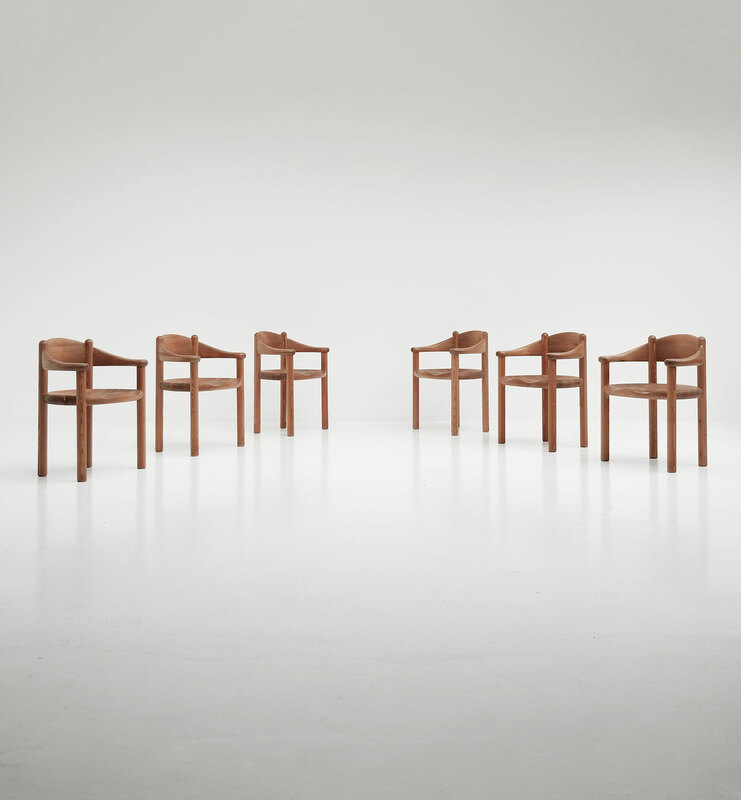 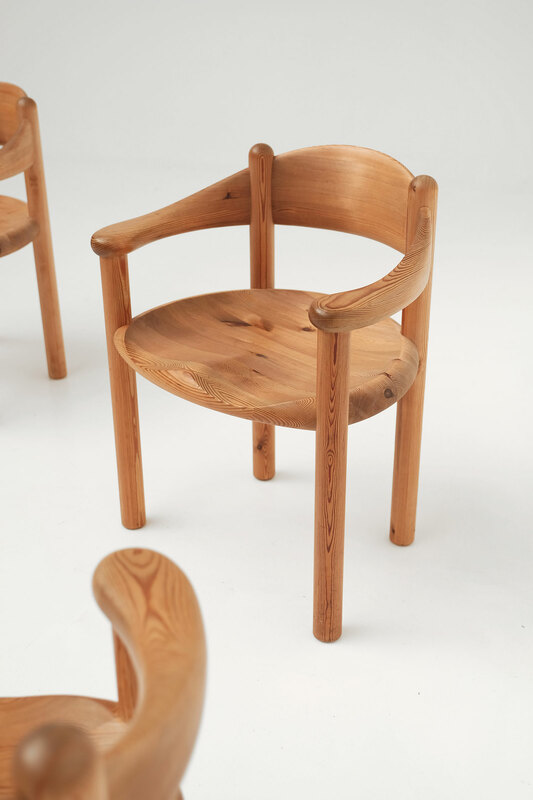 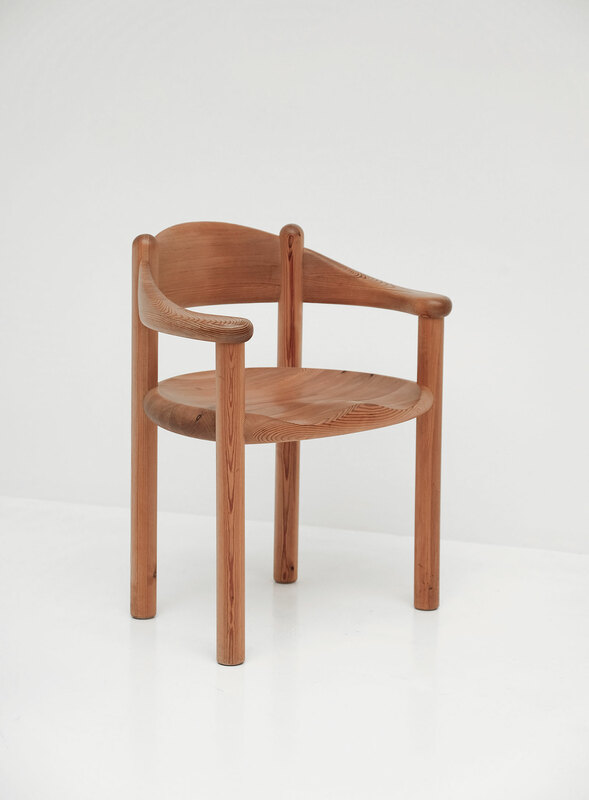 Set of 6 dining chairs designed by Swedish designer Rainer Daumiller and manufactured by Hirtshals Sawmill in Denmark, circa 1970. 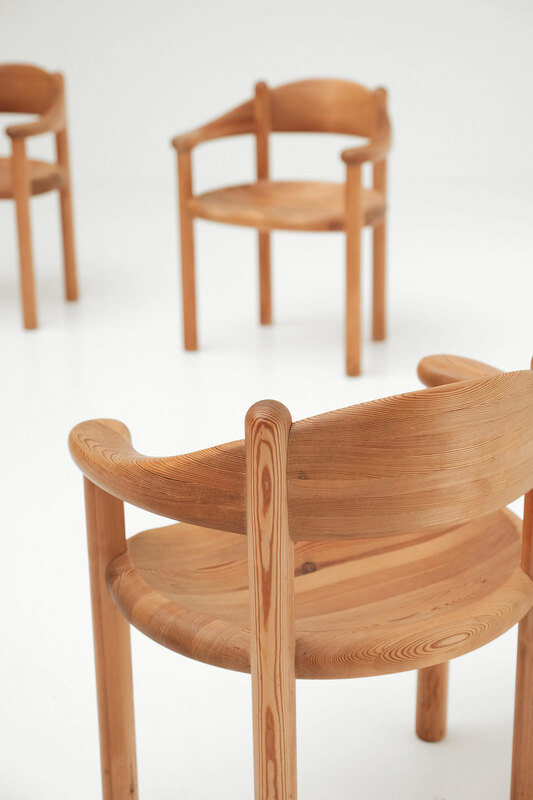 This set is made in the highest quality solid pinewood. 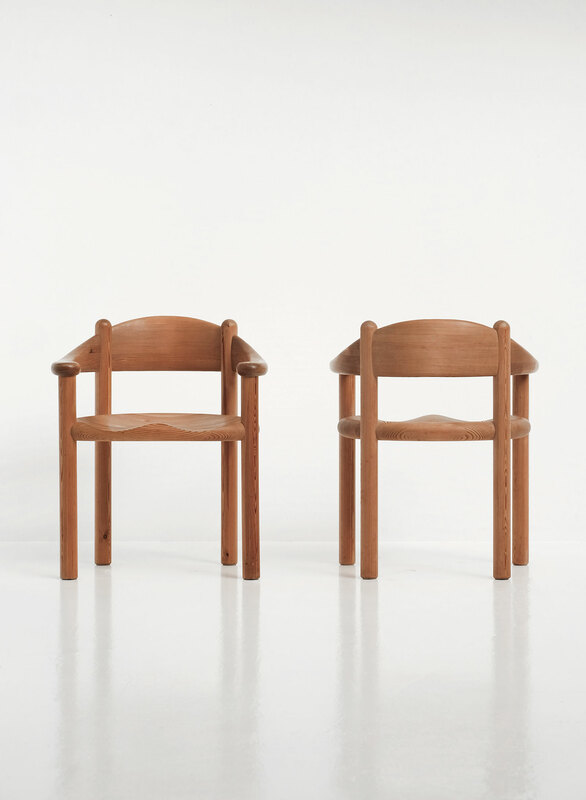 The chairs have a nice patina trough the years and show a nice combination of sturdy material and carved organic lines.